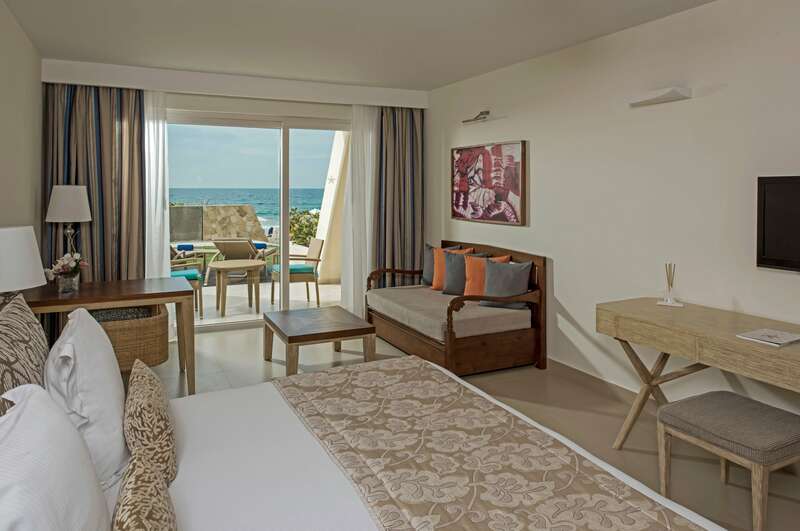 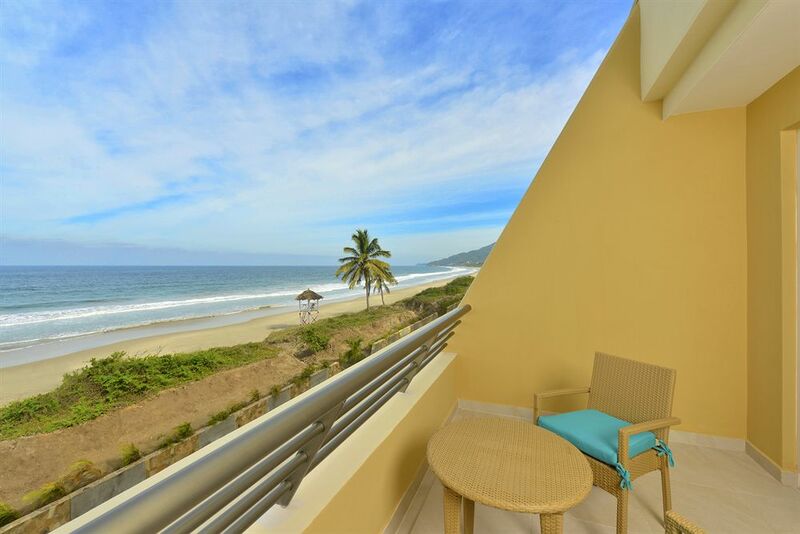 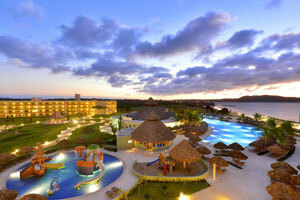 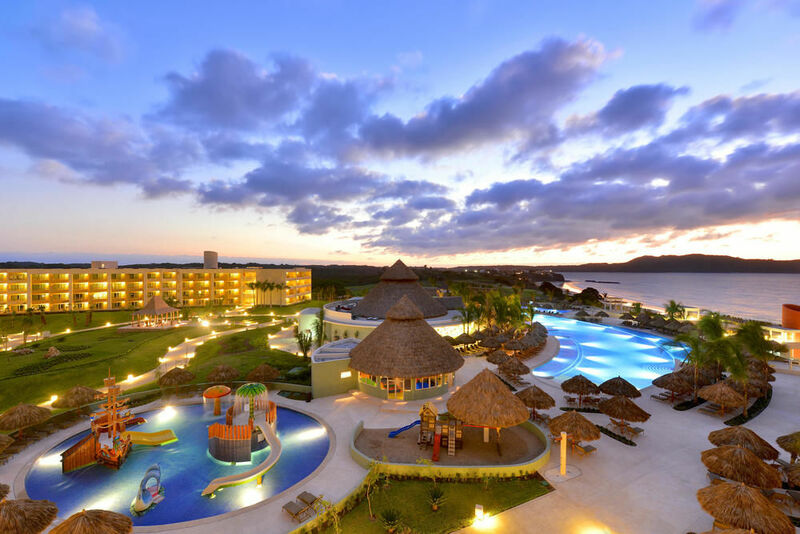 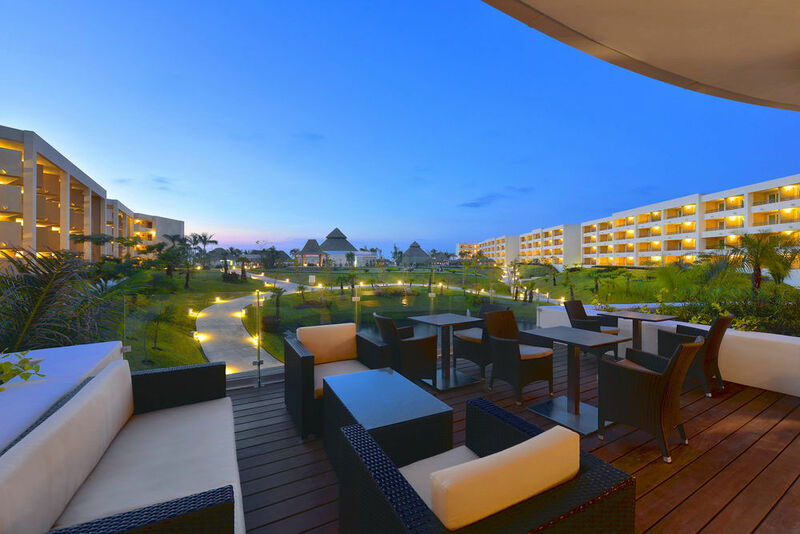 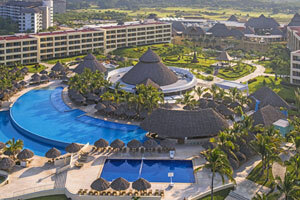 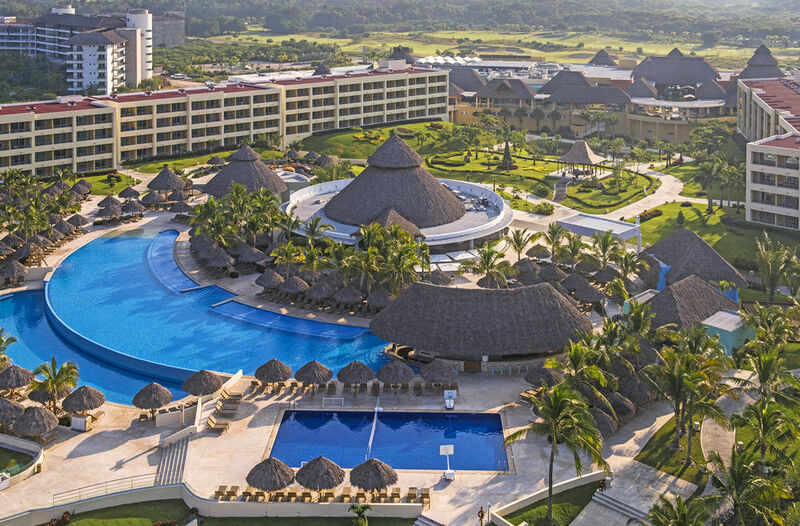 The Junior Suite at the oceanfront IBEROSTAR Playa Mita hotel in Riviera Nayarit has 538 sq. 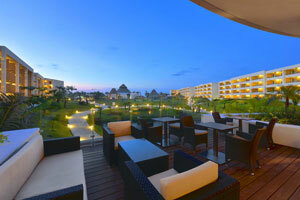 ft., 2 double beds or 1 king bed, and a private terrace with tropical garden views. 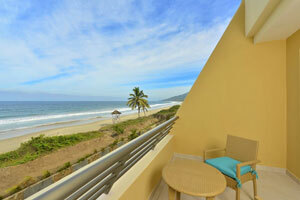 The suite is conveniently situated on ground floor, providing an advantageous access to the beach.